Executives and upper-level management know that strategy is key. But with everyone’s busy schedules and day-to-day tasks, the strategy can get lost along the way. DecideAct was built to bridge the gap between strategy, design, and implementation. The SaaS solution DecideAct tackles this problem by making the business strategy as transparent and tangible as possible. This is done by having a clear and secure interface that offers a complete overview of progress on all levels in the strategic hierarchy… accessible anytime! Let’s say, for example, you want to set up a new initiative for your company, you simply hit ‘new initiative’. From there, you give that initiative a name and priority level. You assign people to specific initiatives, where they’ll have a deadline as to when they need to get it done by. And if they are nearing their deadline and the initiative isn’t complete, they’ll automatically receive a nudge, with no action from your end. This holistic overview of strategic governance is the easiest way to ensure accountability and reporting, with additional features like tracking strategic KPIs. By having this robust system in place, you can spend less of your time checking in on your employees and more of your time focusing on your managerial duties. Learn how you can start using DecideAct by heading to decideact.net today. Basically, this technology is going to make your business run smarter, not harder. If you’re running a company of any size, large or small, you have to take full advantage of the cloud and now is the time. Cloud-based applications allow for tighter and more flexible control of all the operations of a going concern. And when it comes to smart systems for businesses, look no further than OneLynk. OneLynk is a configurable and scalable platform that digitizes and optimizes all aspects of your business. OneLynk offers enterprise capabilities to businesses of any size. It consists of a suite of easily customized web applications for automating and monitoring business transactions. This includes automating human capital management, finances, timekeeping, and expense management, procurement, contracts and project management, and payroll services. And of course, this is entirely cloud-based and allows you to operate every aspect of your business from ANYWHERE in the world at any time. As the owner, you can administer authorization for certain functions, allowing every team member to operate on the platform. OneLynk supports a virtual workforce, ideal for the gig economy. The platform isn’t just scalable so it can fit to your business, but it’s affordable too. This makes it ideal for start-ups to mid-size businesses that need access to this kind of cloud-based system. Head to atworksys.com to get started with OneLynk today. It’s impossible not to hear a news story about a major cybersecurity breach and so easy to see the vulnerability of businesses to online threats. There are over 200,000 malware attacks per day, with nearly half of them aiming at businesses. If you’re a business leader, this issue is unquestionably a top priority; we believe this profile of Nuspire, a leading cybersecurity firm, will pique your interest. Cybersecurity has evolved over the last twenty years pretty dramatically. Beginning as a game of leapfrog where you have a susceptibility that would be patched with a widget or piece of technology, it has now transformed to something much more sophisticated and only means the landscape dynamics of the threats have skyrocketed. What is needed is an ongoing service. A coupling of human analytics and technology that is applied constantly to meet that challenge. What’s different about Nuspire? They develop their own technologies. In order to maintain a viable threat security posture in this landscape, you must be constantly re-engineering what you’re doing. You can create great credibility by developing and owning your own technology. Nuspire is significant because they’re making an impact on the world. It’s not just about saving an individual company’s reputation or assets, but it’s about creating a business atmosphere and an environment globally through the use of technology. Adding to that equation adds back value to every single person’s life each day. To learn how you or your business can stay protected from cybersecurity threats, visit nuspire.com today. Now, when you think of a small business, you probably think of a local company that has scaled up. Well, the Learning Enterprises Organization, or LEO, has done anything but that. Since their inception in 2012, LEO hit the global market disrupting already disruptive sectors. They started by creating educational courses for businesses and have since created over 100 different educational courses online. They are now involved in many areas – from crowdfunding to digital currency – with offices in 10 countries. Like we said, LEO is involved and developing in many different sectors. They have created their own currency, LEOCoin, and earlier this year they released their own crowdfunding platform, LEOCrowd. If you want to learn more about LEO, head to learnearnown.com today. Snapchat has been all over the headlines recently. 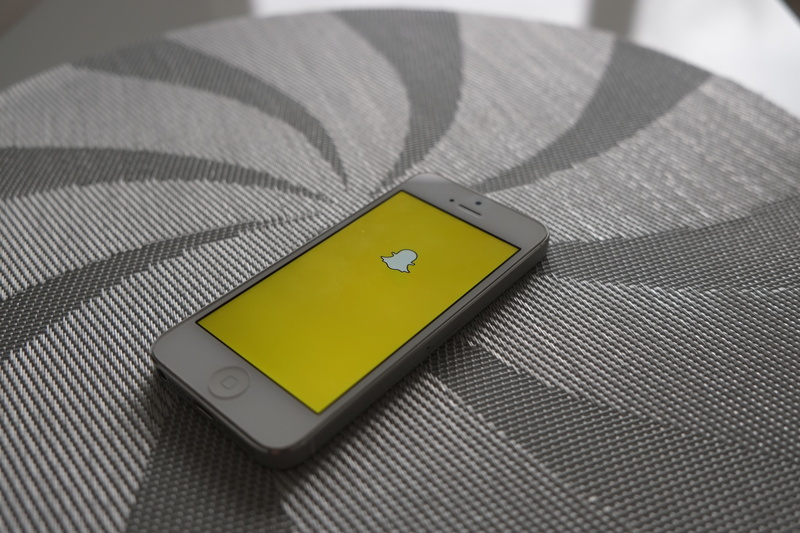 But just in case you haven’t been paying attention to Snapchat (because let’s face it – you’re either a Snapchat fiend like us or you just don’t get it…there’s no in-between), here’s a recap of what’s been going on with them over the past few months: Back in April, Snapchat made a drastic update (Snapchat 2.0). With Snapchat 2.0, they brought everything we had been waiting for and more – it changed the way we view stories, allowed us to send photos during a call, introduced new audio and video features, and gave us over 200 fun stickers to send friends. Then last week it was announced that Snapchat is completely dominating the world of social media by beating Twitter with total daily users. Well now Snapchat is making headlines again. Yesterday Snapchat got a makeover, mostly focusing on the Discover page. Back in 2015, Snapchat first introduced the Discover page, featuring brands like Cosmo, CNN, IGN, Vox Media, and Mashable. Well, apparently not enough people were watching those. Most likely because people couldn’t always tell what content these brands were providing behind the fairly simplistic logos (Really, nobody was intrigued enough by the tiny circles that simply said “IGN” or “WSJ”). Well now the Discover page is a tiled-layout that allows you to quickly glance through what the different publishers have to offer. Publishers can have custom photos and headlines which will hopefully get more people watching their stories. So, for example, this morning iHeartRadio showed a picture of Kanye accompanied by the headline “19 Kanye Lyrics about Food.” And National Geographic showed a photo of a shark with the headline “15 Stunning Marine Moments.” Most likely you’ll be more inclined to click on the stories on the Discover page than you were before the update. Its kind of like a modern, interactive newspaper. Users can now also “subscribe” to publishers’ channels. When you subscribe, those stories will automatically appear under the “Recent Updates” section, making it more likely that people will watch these channels on a regular basis. What do you think about this Snapchat makeover? Let us know in the comments below or join the conversation on Twitter! It is becoming more and more clear that what people want out of a social media app is quickly evolving. Remember when it was weird if you weren’t on Twitter? Well, now its not that weird. Although we know Twitter can be very influential, especially with their trending hashtags, they are starting to see a steep decline. As far as daily use goes, Snapchat is beating Twitter. According to The Verge, Snapchat has 150 million people using the app every day, while only 140 million people use Twitter every day. That might not sound like a big deal until you think about how old each of the social networks are. This past March, Twitter turned a decade old. While Snapchat is only five years old. It is obvious that Snapchat is swiftly building an empire while the one Twitter has built up is kind of starting to crumble. And Twitter is really feeling the struggle to stay relevant in the world of social media. Twitter Chief Executive Officer, Jack Dorsey said that Snapchat is “very modern” and he is aware that Twitter can be both confusing and alienating, but he is trying to fix that. Maybe that’s what led Twitter to stop counting links and images in their notorious 140-character limit in an attempt to make it easier for new users. But it doesn’t help that Snapchat continues to roll out features that users quickly fall in love with. From silly filters to face swapping to being able to send stickers to friends, Snapchat’s most recent changes have users begging for more. And businesses looking to advertise on a social platform are well aware that Snapchat is where they should be doing it. Meanwhile, Twitter has been struggling to convince advertisers that they can make them money, but businesses are practically begging to be able to advertise on Snapchat to be able to reach the 13-34 year old demographic. Regardless, it is apparent that Snapchat is more favorable than Twitter. It makes you wonder if Twitter will soon face the same doom as Myspace did back in the day. Of course, without question, Facebook is still the most used with a total of 1.09 billion daily active users and it isn’t likely to decline any time soon. Do you think Twitter will be able to catch back up with Snapchat? Let us know in the comments below! 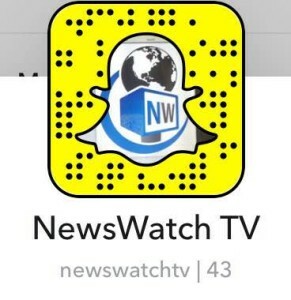 Make sure you add us on Snapchat! XaitPorter is a simple and secure way to quickly collaborate with your company. It was originally developed for oil companies when they needed a more efficient way to collaborate with each other. This innovative cloud-based software allows you to create high-quality documents faster which in turn allows everyone to work on the same document. Whether you are in the office, at home, or on the other side of the world, everyone has access to the document. And even better each person involved in the document can edit in real time. There is really no limit to the type of document that would benefit from the use of XaitPorter, making this an evolution of document creation and collaboration. These documents could be bids and proposals, reports, manuals, procedures, governing documents, contracts, annual reports, memos, it literally works for anything you would want to collaborate on with your team. So XaitPorter really is perfect for any business as it has so many different options and possibilities. If you do not want to edit the document but just want to make some notes and comments, you or any other contributor with access can add comments directly to the document. When everyone is done with their edits you can export it as either a PDF or Word doc. And from there you are ready to go. Did you like this review? Check these out!